The inspiration for several acclaimed cult films, Planet of the Apes is both a gripping, disturbing fable and a classic of science fiction. ©1963 René Juillard (P)2014 Audible, Inc. This was an excellent book, even if you've enjoyed the original film (and who hasn't?). You can clearly see the inspiration for the classic movie, but the book moves in a slightly different direction. You will find the principle characters of Nova, Cornelius, Zira, and Dr. Zaius. Beyond that, I won't divulge any specifics about the story, as it has its own little twists and turns. For the Planet of the Apes completist, I say quit monkeying around and listen to this one! You've Seen the Movies, Now Read the Book! Even if you're very familiar with the classic 1968 Charlton Heston movie, there are a few surprises and plot twists here that make this an interesting and exciting listen. 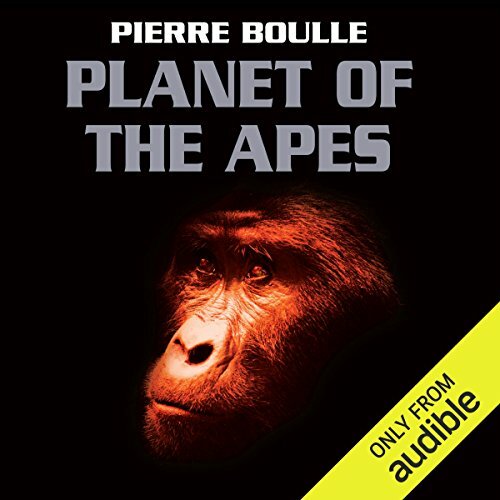 The main character is Ulysse, a French journalist who journeys with two other intrepid astronauts to the distant star, Betelgeuse, where they, of course, come upon the Planet of the Apes, inhabited by primitive humans and technologically advanced chimpanzees, gorillas and orangutans. The themes are somewhat different from those of the movie, but this is a well written and exciting book with a tightly-constructed plot, which also raises interesting questions about the ethics of animal research and social behaviors which can bring about the death of a civilization. Well narrated. This is a great intelligent read. If you pick this up looking forward to the campy war like gorillas in the movie, you will be disappointed. Gorillas are the physical ones, they do hunt and kill humans, but instead of wearing leather, they wear the clothes of gentlemen. They are the stogy heads of science. THEY READ BOOKS, THAN WRITE BOOKS, REPEATING WHAT THEY READ. They have little imagination, but lots of power. I am wondering if Boulle was making a statement about a certain group of scientists? All science advancements come from this group. They are they opened minded ones with imagination. This is more of an intellectual read with discussions on evolution, devolution, treatment of animals in labs and much more than the movies. The movies are good, but they went they way of more violence to get the ratings. I like the book, much better. The book has it's own twists and turns, that goes one better than the movie. Writing is superb, with plenty of story and intensity. I love this book so much that I was sad that Pierre Boulle had no other books on audible to offer. He does an excellent job of verbalizing the main characters frustration with trying to prove his intellect to the apes without losing his mind. Nova, she's definitely not that bright but I do appreciate that she gets smarter... maybe not smart enough to graduate from the third grade but it's a start. The end... I have nothing left to say about it but it was quite the ending. If I didn't have to work and eat, I would have listened in one sitting. Years ago I saw the planet of the apes movies and thought they were excellent science fiction movies. 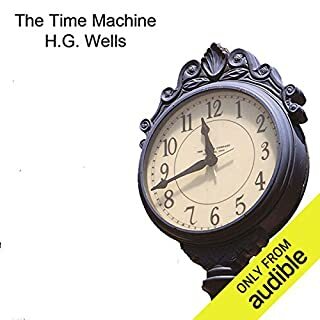 I stumbled onto this audio book and took a chance on it - so glad I did. I always thought that the original movie had an iconic ending, but honestly the ending of the book is even better. The writing is clever and the story line unique. The characters are interesting and well developed. The narrator does an outstanding job. It is just an excellent book, if you enjoy science fiction I would highly recommend this book. The ending is a complete surprise, very different from the movie. I absolutely loved it. It was surprisingly captivating considering that I am such a fan of the original movies. I've been a big planet of the apes movies fan for many years and I can't believe it has taken me this long to hear this book. Just like the movies, this book keeps you in suspense every minute and fallows through with twists in plots to the last page! 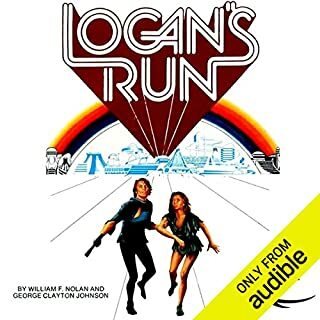 If you enjoy the movies at all, this is definitely worth a listen, and even if you aren't familiar with the movies, this book is a stand alone masterpiece that will entertain the reader every single minute! This is the first review I've left on Audible, and that's a testament to how incredible this book is. As a major fan of every single one of the movies, it took me WAY too long to listen to/read the book, but it's different enough that it's a whole new experience. The ending was just as shocking. So good. The narrator was fantastic. Not a single thing I didn't like except that the planet of the "apes" was apparently inhabited by "monkeys" but that's LITERALLY my only complaint, and that could be due to translation. Ape Fans will Not be disappointed. What a superb story! Having grown up with the Ape movies, I jumped at the chance to listen to the original. Greg Wise does a fantastic job bringing all of the characters to life with emotion. I could not stop listening. It was interesting to recall the similarities and differences between this original novel and the original Ape movie. I can see (and understand) the Hollywood influences. This story never hit a dull point and I can’t wait to see what happens next. Movies have never done this justice. Heart felt story written to make you rethink the way we live. Right up there with Ray Bradbury and other authors that teach great life lessons. If your a fan of Planet of the Apes it's a must read. Would you listen to Planet of the Apes again? Why? Probably not. I originally read it just so I know the "true" beginning of the film and TV etc phenomenon that is still active after nearly half a century. I ended up enjoying it in its own right, but its revelations are unlikely to surprise a second time. What was one of the most memorable moments of Planet of the Apes? It amused me that, according to the book, French will be the lingua franca in the far future. The landing on the alien planet was intriguing - and by the way, is emphatically not Earth. Honestly, what are the chances of a spaceship doing a 180 at the crucial moment and nobody realising? Imagine Neil Armstrong saying, "Tranquility base here, the Eagle has... hang on, that looks like Florida!" There are some uncomfortable moments with the woman Nova - she really isn't treated well at times, but given how brutal the apes can be towards humans, I suppose she got off relatively lightly. The main character's relationship with the chimpanzee Zira is... quite interesting. As I recall it was implied in the film, but here it's a little more explicit. And there is a twist that is so much better than finding the Statue of Liberty, but to be fair it's not filmable. No. The ones he's done so far are books I've read already or which don't interest me. No, it's not a short story. Satirical elements often throw me out of a story. This one didn't. It would be nice if Boulle's other well know novel - Bridge over the River Kwai - could be made available on audio. didn't turn it off for the first five chapters, loved reading it as a kid. Love this audio version. narrative is very good compared to some. Quite a good book, I preferred the original film with Charlton Heston. Three French men travel on a space ship where they find a planet inhabited by backward human beings and intelligent apes. The apes are the masters of the planet and the humans behave like wild animals.. 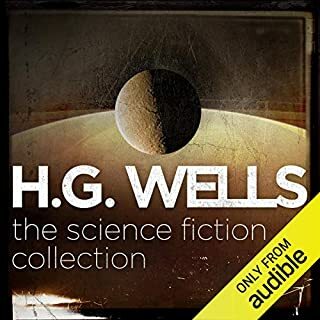 The narration is quite good but I have listened to better narrators on other audio books. You will no doubt reference against the original film, this book is the origin to that and can standalone. Would you consider the audio edition of Planet of the Apes to be better than the print version? I've not read the print version so could not compare, but I did enjoy the audio book. I was intrigued to hear the original story, having been brought up on the films and TV series. I don't want to say much in case of spoiling it, but I thought the ending was good. The book probably shows its age in the constant use of the term 'monkeys' as the collective name for gorillas, chimpanzees and orang-utans, rather than 'apes'. Apes being different to monkeys. One annoyance was the modern trend to refer to the star 'Betelgeuse' as 'Beetle Juice', something I find particularly grating. I don't want to be negative though, I enjoyed the book and found the story refreshingly different from the films/TV series. Entertaining listen for Ape fans! 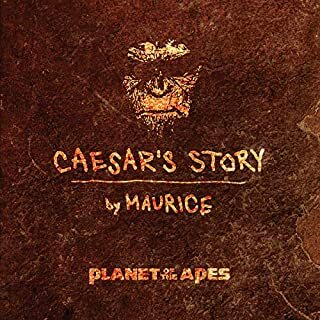 I have not read the print version of Planet of the Apes, but the flow of the audio book is excellent so I doubt the print version would be any better. The book is fairly different from the original film franchise and the ultimate twist at the end had me smiling. 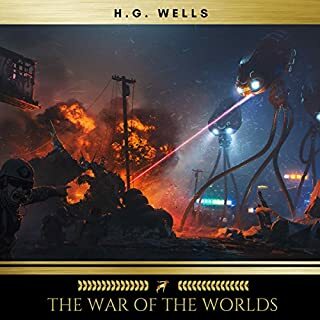 I really enjoyed listening to this book and while a big fan of the films, was pleased that it offered something slightly different. Different to, but just as good as the films. 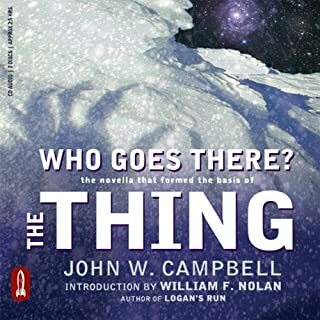 I've always enjoyed the original series of films, and certainly the most recent two 'reboots', but until now hadn't read/listened to the original story. This was largely as I'd never come across it. Needless to say it is both more low-key and more interesting in it's development. It varies from the films' storylines in crucial ways, including the iconic scene from the very first film. Nonetheless it has a strong twist which it carries well. I don't know of Pierre Boulle's thoughts behind the story: did he intend an interesting sci-fi Twilight Zone type story, or perhaps a variation on racial awareness, war, or perhaps nothing else at all. Nevertheless, it's well worth hearing and Greg Wise does a decent job of narrating the tale. I'm surprised that I haven't come across more of his work with audiobooks. Even though we know it, it doesn't disappoint. What I find difficult to get my head around is that the same author penned Bridge Over the River Kwai. I really liked this book, and the role reversal, it must have been considered a very odd book in its day. I really enjoyed the initial landing on this utopian planet & visualising the perfect Nova...and whoop! She snapped the pet monkey's neck - poor monkey! And soon forgotten! Although, I'm not sure if I'd have forgiven her for that! The ending was brilliant however the characters exit from the planet seemed like the author ran out of enthusiasm to complete the book and chose to summarise this complex task in a mere paragraph after it had occurred. Still, I really enjoyed this book and best of all it felt so different from the films I've seen. I know we always bang on about books being better than movies but not in this case. Yes it was written years ago but that's no excuse. Give me Charlton Heston every time! The narrator chooses to use bizarre American accents too. This is bad enough in music but best avoided in audiobooks. Historical interest only to shut people up claiming that the book is always the best.